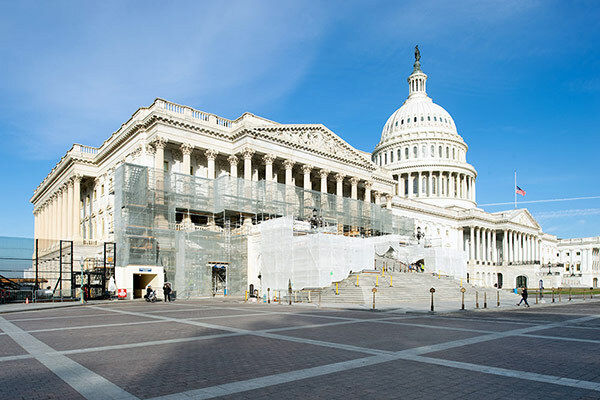 Below is the latest information on current work underway to preserve the stone and metal of the U.S. Capitol. Phase 2 of the Exterior Stone and Metals Preservation project is underway, continuing with the construction of scaffold erection and stone preservation activities at the House Extension's south, east and west façades. Scaffolding as part of November 2018 preservation efforts.